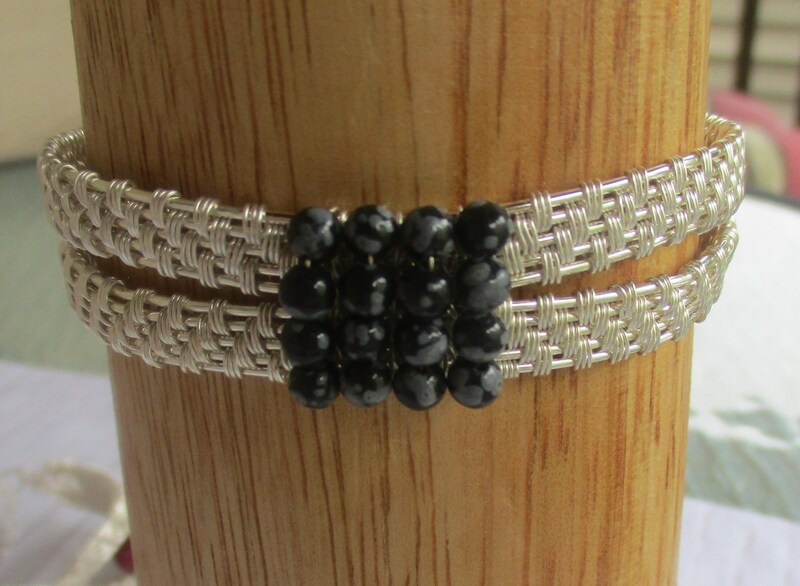 This gemstone cuff bracelet is 17cm (7") long and has an additional 2.5cm (1") extension. 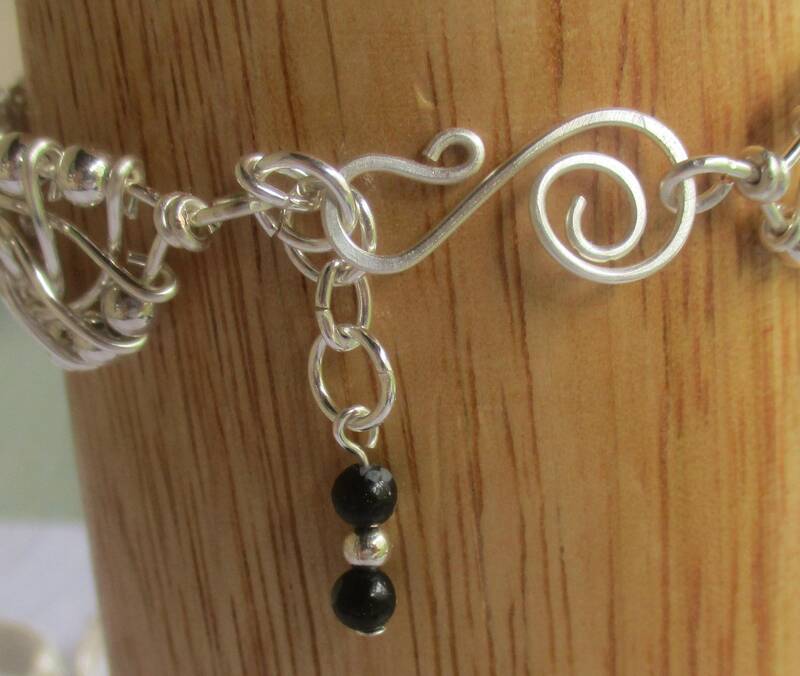 It includes 4mm (1/8") snowflake obsidian. 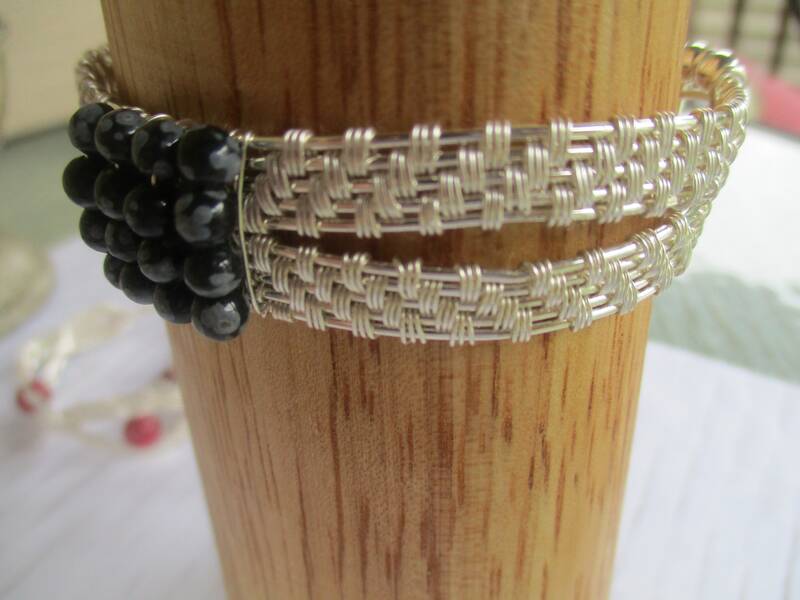 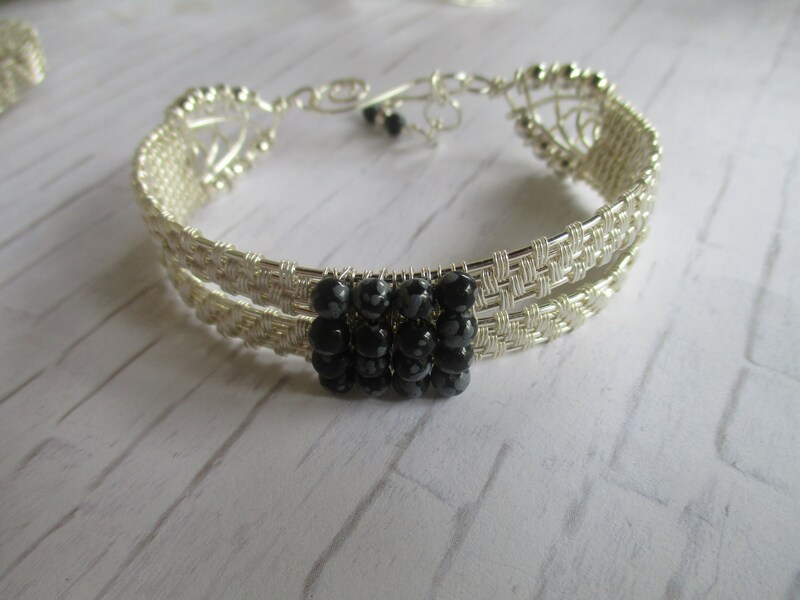 The wire used for wrapping and the clasp is a silver plated anti-tarnish artistic wire.